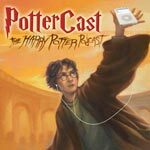 PotterCast #10 is available through all the usual sources! -Mike Newell talks about what he would have done had the film been split in two parts, Ralph Fiennes’ Voldemort prep, the movie as a thriller, and the bits of book five that get previewed in movie four. -The mailbag: some of your most hilarious singing voicemails! -Modcast: PotterParties, Halloween and more! -Don’t visit Sue’s house on Halloween – you’ll only get celery! -Leaky/PotterCast shirts on the way? Maybe! -Leaky has a mystery staffer! Can you guess who she is? -Mama Anelli is going to the premiere! If you are new to all this podcasting stuff, it’s really easy: want download and install iTunes, then click here to listen. (There’s a tutorial right here.) Our other links will soon be on our episodes page, along with show notes, relevant links and clips. Direct download it here! ENJOY!